Seven years ago last month, Opie and I moved to Denmark and I started my lifelong odyssey of living in Denmark as an American expat! In keeping with tradition, this is my annual (self-indulgent?) post about what it’s like for me living in Denmark as an American expat right now. But before I get to that, I’d like to explain my long, unannounced, and unplanned absence from blogging. As I’d written back in January, the work on our apartment hasn’t gone as we’d expected. Unfortunately, it’s been off the rails ever since. After firing all of our contractors, we’re DIY-ing as much as we can and will deal with the rest as it comes. If we’d had a crystal ball last October, we’d have held out for a place in better condition because a crazy DIY fixer upper project was never on our wish list. But we’re trying to focus on the prize and I’ll tell the sordid tale in serial format when I finally have some before/afters worth showing. For now, suffice to say that we’re cooking on a hotplate, showering with a hose, and still using a duvet in lieu of curtains in the bedroom. At the same time, my freelancing business has exploded into a seven days a week gig with few exceptions. Robert is also working more than full-time and preparing to submit the dissertation for his next (highest) level doctorate. With all of that going on, is it any wonder that 2017 has so far pretty much gotten away from me? This past year, first with Brexit and then with the US election, various mass shootings, terrorist attacks, and instances of racism and police brutality, has really put things into perspective. After seven mostly difficult years of living in Denmark as an American expat, I’m a sure as I can be that I’m never moving out of Denmark. Seriously, they’ll have to pry that permanent residence permit from my cold dead hands. I knew going into the move that living in Denmark as an American was going to be a challenge. When I first (reluctantly) agreed to relocate, I thought it would be for three years, max. But because my work contract was changed to open-ended, getting the company to move me back to the US wasn’t nearly as straightforward as moving over. I spent most of years three to five feeling trapped, isolated, and frustrated. Fortunately, things have worked out for me and I don’t regret moving and all of the struggles that living in Denmark as an American expat has brought over these past seven years. I’m past whining about the (insane) taxes and pay up my 8% so that everyone can have healthcare. Robert and I both have pre-existing conditions and being self-employed, it’s been a luxury not worrying about health insurance. And when one of our pre-existing conditions needs emergency attention, an ambulance, paramedic team, and doctor show up in less than five minutes… and we never see a bill. This sign recently popped up at a park Aarhus. At first, I wasn’t sure how I felt about The Same For Everyone. After a lot of reflection, I agree with it on balance and it’s one of the things I’ve come to love about Denmark. There’s a baseline of “the same for everyone” concerning healthcare, education, and basic needs. After that, it’s up to the individual. I’m totally on board with that even if it means having less in Denmark than I might have in another country. Really, how much disposable income does one person need? A few years ago, I would’ve had at least 101 reasons why everyone doesn’t deserve the same. 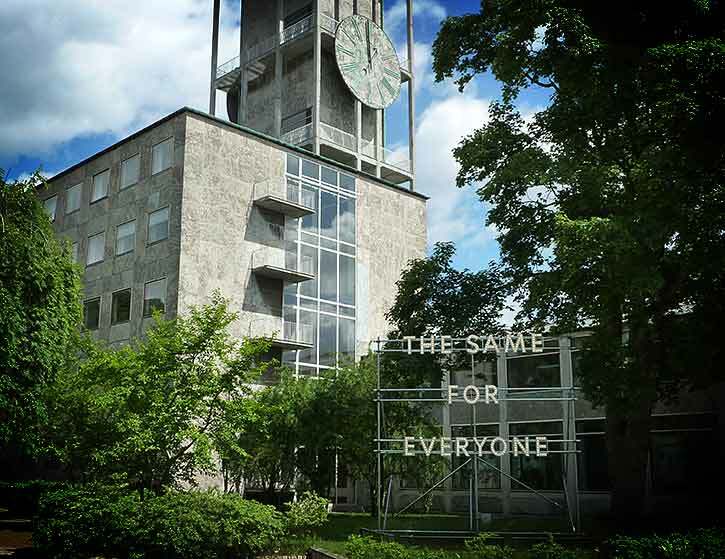 Now I’ve come around and in my experience living in Denmark as an American expat, I believe that having everyone’s basic needs met creates a better and more peaceful society. I’ve written before about how I walk around at night (winter is practically one very long night) without worrying about being robbed. Panhandlers pretty much don’t exist here and any Danish citizen who’s homeless is (literally) homeless by choice. I recently read a statistic that there’s no US state in which someone working full-time for minimum wage can afford a two bedroom apartment. I just can’t comprehend that. Robert and I often say, “say what you want about the taxes, but Denmark just works.” In exchange for paying high taxes, we live in a country that functions extremely well. For example, the IRS requires a specific form issued by the Danish government in order to claim an exemption from US self-employment tax. According to the IRS website, this form must be requested via snail mail to an address in Denmark. When my first request was returned as undeliverable, I contacted the IRS and was given another wrong address. After much frustration and many phone calls in Denmark, I finally tracked down the right place and submitted the request by email (because everything in Denmark is online). I had the form in hand two days later and a few days after that someone called to make sure I had what I needed. That’s Denmark in a nutshell. Btw… I haven’t even flown over US airspace in nearly 6 years yet I still have to file a tax return and disclose my bank accounts to the IRS. How ridiculous is that? After seeing how much self-employment tax I would’ve owed to the IRS, Denmark actually looks like a bargain. Between the cost of health insurance and self-employment tax on top of US income tax, I don’t think I could afford to be a freelancer in the States. 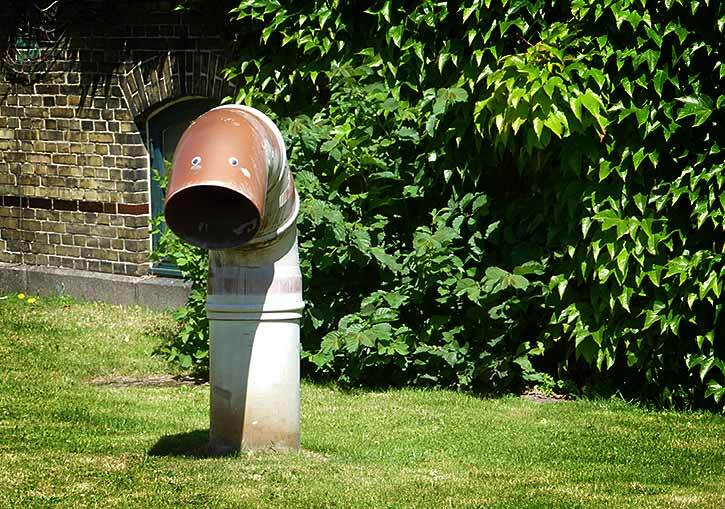 Aarhus is called the city of smiles and for good reason… there are quirky little things like this all over the city. Living in an international city like Aarhus is so very different from where I lived in the beginning. I’ll always feel like an outsider and paying attention to the immigration debate will always make me feel unwelcome. But is it any better for foreigners living in America, or anywhere else? I do my best to separate politics from my daily life and tune out the immigration debate because I have permanent residency, my own business, and have managed, despite myself and many roadblocks, to build an awesome life with an awesome man in a country that’s foreign to both of us. The peculiarities that drove me nuts in the beginning don’t really register anymore. I barely even remember the things I used to miss from home (except a bathtub… I still very much miss having a bath). 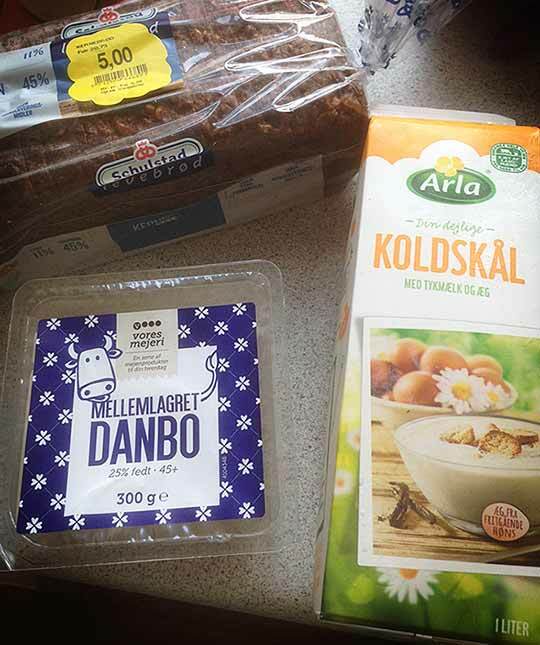 My last grocery shop (I shop daily) consisted of rugbrød, koldskål, and a type of Danish breakfast cheese… it doesn’t get much more Danish than this! Advanced level bargain hunting! I paid around $4.50 for this, which is roughly half price. Aarhus has a distinctly bohemian vibe to it, which complements Denmark’s overall laid-back vibe very well. 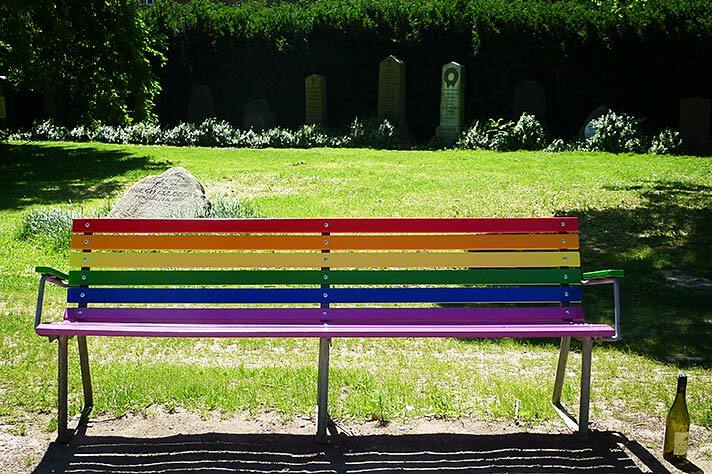 On Pride Weekend, 7-11 gave out rainbow flags, the city busses flew the rainbow flag, there was a parade, and this awesome bench popped up in the park near our apartment. The live and let live attitude of the Danes suits me down to the ground. This bench brings glee to my c.1990s fag hag heart! Despite the chaotic state of our apartment, life is good. Robert is a perfect partner in crime. I live in a country I trust and in a city where I feel safe. I’m clearly foreign but I don’t fear the police. I’m making a living doing something I love and I get to sleep in and work from home with my cat pretty much every day. While Denmark may never truly feel like home, I’ve fallen in love this crazy little country! Its ideology matches my values and it’s treating me well on balance. A few years ago I wouldn’t have believed that I’d end up here, but life is an interesting journey. You can read more about that in my past “anniversary” posts here… first year, second year, third year, fourth year, fifth year, sixth year. I’ve been back and forth on whether to keep on blogging or close up shop. Writing and editing full-time for clients has drastically cut into the time I can spend on my own projects and I feel like I’m either working on projects for other people or working on the apartment. Had I stayed in Denmark, I too would’ve moved to Aarhus – it’s a great little city, my favorite Danish town. Last November, I had some serious second thoughts about staying in the US after we elected a giant human-shaped turd, and it’s been very tough here for a lot of people. I’m angry a lot of the time at the stupidity of my fellow Americans. But I’m also more fired up and involved in resistance movements, and I’m actually paying for my news (Washington Post subscription) for the first time in a couple of decades. My country needs me now and I’m here for it; we’re stronger than any one demagogue, and This Too Shall Pass. And on the other hand… I miss a lot of the things about Denmark you mention. But I’m glad you’re enjoying your well-deserved happy life, DIY woes notwithstanding. Good for you for getting involved instead of just complaining on social media, more people should follow your lead. And thank you for not calling him a “demigod,” that makes the copy editor in me stabby! Denmark really is a crap shoot, some people end up loving it, many people hate it as I’m sure you know. I think living abroad no matter where you are is difficult once the “OMG! I’m living in Europe (or Asia, Australia, some random island, etc. )” wears off. I’m just happy that the planets seemed to finally have aligned for me. Wow! This is an amazing story. I read every word. It is so nice to hear that you’re finally enjoying Denmark and that the taxes make the society a better place to live. I always assumed it was so based on reading about it, but I have never been. I’m pushing Denmark higher on my list of places to visit and I’ll continue wishing that the US starts moving towards getting rid of homelessness and giving health care and housing to all. I enjoy reading about your experiences. I’ve never thought about living in another country, but I’m always fascinated by those who are brave enough to try it. I’d love to come sight see! I really love your blog! I spent a total of 5 years in Germany, serving in the Army. Europe as a whole (back in the late 80’s/early 90’s) definitely had a different vibe than here in the U.S. Laid back, work hours weren’t long, etc. They sure do things different in Europe! My first 2 years in Germany it took me a while to grasp the atmosphere. The second time I went, I embraced it, and being young and single, I felt like I had the world in my hands! You definitely shed a lot of light on the conditions in Denmark! Thanks, Ladonna. I totally embraced it when I first got here, then I felt like it beat me down, but now I’m on the other side of that and seeing the upsides of living here. Can’t beat the 37.5 hour corporate work week, the six weeks paid holiday… and the rest of it :) Why did I go self-employed? It would be hard to live seven years away from family. What a challenge it must have been to learn a new environment and way of life. Not sure if it would be fun or stressful learning to grocery shop in a new place. OMG! Grocery shopping… lol! I made so many mistakes! In the beginning, I had like 4 jars of sweet pickles in my fridge (they don’t do dill pickles over here) and I made enchiladas with caraway seeds instead of cumin because the names are similar (kommen vs. spidskommen). Congratulations on your seven years in Denmark Sage! It’s been a great pleasure following your and Opie’s adventures. It’s my hope you don’t abandon blogging altogether as I do enjoy checking in on how you and yours are faring. I think of you quite often and always am sending best thoughts your way for all that is good. Denmark is a place my husband and I would really love to visit one day. My sister in law and her family live in Amsterdam and they visit parts of Denmark with their kids often. We have heard amazing things. Thank you for sharing your experiences. Amsterdam is probably a better place to visit, though it’s one of my favorite cities so I’m probably biased. Denmark is lovely, especially in the summer when the sun barely sets, but there’s so much more to see in a city like Amsterdam! I have always wanted to visit Denmark and after reading this, I really want to visit. Your experience sounds amazing. I am living away from home now, and the experiences my son have are so unique and awesome. I cannot wait to hear about your future adventures, keep blogging you do a great job. Thanks Monica. In all honesty, when I was traveling here for work I didn’t enjoy Denmark at all (I wrote a bit about that in 2009). I don’t recommend Denmark as a holiday destination, but it can be a lovely place to live if you find the right place and can navigate their extremely strict immigration laws. Traveling and being away from “home” and where you’re most comfortable can be hard, but I’m glad you have adjusted and are enjoying your time in Denmark. I love your healthcare silver lining (high tax, but great healthcare). I might just have to move to Denmark myself…Lol! I kind of don’t have a choice ; -) But yeah, compared to other places, Denmark has a lot going for it and as a freelancer, not having to work about health insurance is a huge burden lifted. The thought of having to get re-established in the States is daunting to say the least. Wow 7 years in Denmark. Congrats to you and also I know it hasnt been the safest place to live in Europe with the news always blairing something tragic or negative but hey America has a bunch of crazy stuff too. 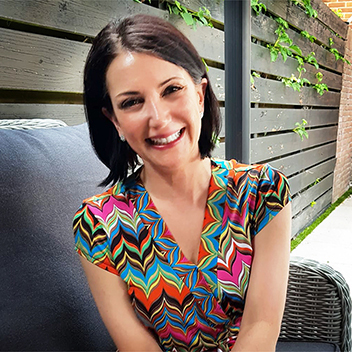 I think you should definitely keep blogging, don’t let work make you close up shpw just blog when you can don’t make it a chore, these are your virtual diaries for life! Thanks, Kiwi :) You’re right about the diary aspect… I often find myself reading posts from my early days here and I’m glad to have them. So many memories and experiences get lost in the rush of everyday life. It’s nice to relive some of it and to see how far I’ve come. I’ve always wondered what it would be like to move to another Country as an American. I’ve heard nothing but great things about Denmark and it sounds like you’ve found a great home. Thanks for sharing your experience. My goodness, you’ve sure had quite a start to 2017. My husband and I built a house a number of years ago and did most of the work ourselves. I feel your pain of showering with the garden hose and cooking with the barest of essentials. Even though you know it’s temporary, it’s still draining when all you want to do is come home to a clean and put-together place. To your post about living in Denmark. I had no idea about the healthcare system there. Not having to take that into account would be such a wonderful thing! Wonderful writing – and I so agree with your statement ‘everyone’s basic needs met creates a better and more peaceful society – There is way too much self-interest going on in many parts of the world. Thank you, Donna :) It’s a very different outlook to what I was used to in the States. I often wonder if I’d be able to move back after living for so long in such a different type of society. Fortunately, I don’t have to find out, unless I want to. I’m glad you’re at long last feeling happier about where you are. It has been interesting to read about your experiences, both pro & con. Thanks Darisa :) I can either continue to fight it or bloom where I’m planted, so I’m gonna bloom! Yes, please don’t stop blogging! I’m about to move from Canada to Switzerland and I know I’ll be coming back more and more often for advice and inspiration. Keep blogging please! I was just there in the Spring and would love to live and perform there as a Jazz singer.. However, I am currently working on my Master’s Degree in Interdisciplinary Arts. and with only two semesters to go….. let us just say that ….. I have a lot of thinking to do.. (LOL) Anyway.. love the article and maybe I will be there sooner than I think. Given the current political climate here in the US, and despairing that it will change soon, my husband and I are seriously considering moving to Denmark. He is a Danish citizen although he has lived here since he was 5. I think that makes it a little easier, though. Really, the main obstacles are our children and grandchildren. His family came from Aarhus, so that is our target area. I really enjoyed your blog post and look forward to seeing more. I and my wife, son and daughter lived in the UK for 14 years, returning to the USA in 2011 (My son didn’t return with us, remaining in York to complete his university education, marry his Scottish girlfriend of many years, and now they live in Belgium. They will be there a long time). Perhaps because I am European at heart, I had little trouble feeling like I belonged, no matter where I visited. With retirement looming in a couple years, I will be returning to Europe one way or the other – especially given the current climate of America in decline. Belgium, The Netherlands, and Denmark are all possible locations, as are Spain and France. I adore European custom, friendliness, food, and pretty much everything else. I know that high taxes are always a complaint (especially among Americans), but when one considers: 1) what you get for that high tax rate – namely the sense of well-being that you need not worry about basic needs, and 2) between taxes, insurance, and other costs, the USA isn’t exactly cheap – and one does not have that sense of well-being that basic needs will be met; well I for one do not mind paying higher taxes. Perhaps I would not have as many possessions, but as they say: “Money can’t buy happiness”. Europeans seem to know this. Why Can’t Americans? Thank you for an entertaining blog that I stumbled upon while researching emigrating to Europe. A great post and balanced viewpoint. You are so correct about the taxes and the observation that this country works. Thank you.